The latest campaign from Change4Life aims to help parents see how making a few simple swaps to their everyday food and drinks can really make a difference. 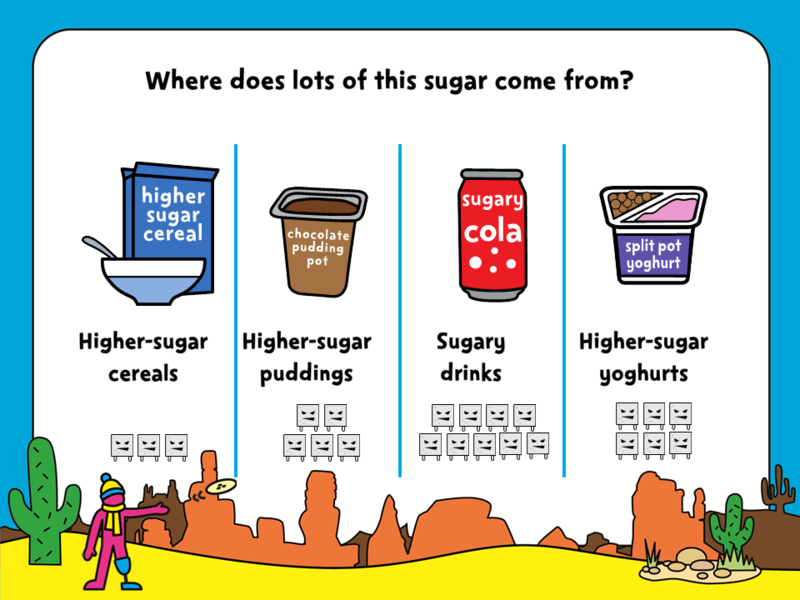 You can help reduce your child’s sugar intake by swapping to lower-sugar options in selected categories such as puddings, drinks, yoghurts and cereals. Good food swap ideas include ice creams for sugar free jelly, high sugar milk shakes for milk, and sweets for fresh or dried fruit snacks. Search Change4Life for loads of helpful tips, hacks and tasty low-cost and lower-sugar meal ideas. And if you haven’t tried it already download and use the ‘Food Scanner’ app to see what you common food products contain.